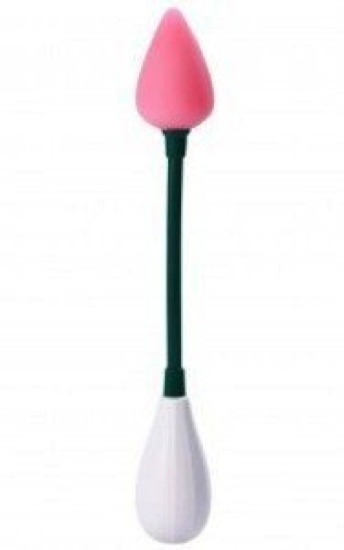 With a pure silicone rose bud and a silicone bendable stem, this is the first flower that truly give back! The push button, multi function base, sends the powerful motor located at the tip of the bud screaming at all levels of delight! Not only is it completely waterproof, but it bends and holds any position So if youre in the market for a serious massager, or looking for that perfect gift, the Silicone Bendable Rose is the choice for you! 100% Silicone bud. Multiple functions. Phthalate and latex free. Highly polished button ABS controls. Waterproof. Bends and holds any position. Requires 2 AAA batteries.